Former US Secretary of State and Democratic presidential nominee Hillary Clinton said on Tuesday that Democrat Stacy Abrams would be governor-elect of Georgia if the elections were fair. US President Donald Trump was quick to declare victory Tuesday night, even as his Republican Party lost control over the House of Representatives and large numbers of state and local races remain in contestation. However, GOP control over the Senate was solidified, a keystone of conservative political strategy. So did Trump really win? Tuesday’s midterm elections were a mixed bag for both parties: Republicans failed to hold on to the House of Representatives, and Democrats couldn’t take the Senate. But there was one big winner in the midterms: marijuana. The two-year investigation by US special counsel Robert Mueller into alleged Russian interference in the 2016 US election has yielded scant evidence. That didn’t stop fearmongering about a Russian repeat in the 2018 midterms, of course, but now those claims, too, remain unsubstantiated ‒ and even the Democrats have dropped the Russiagate storyline. On this episode of The Critical Hour, Dr. Wilmer Leon is joined by a panel of political science experts and analysts for a discussion on the 2018 midterms! 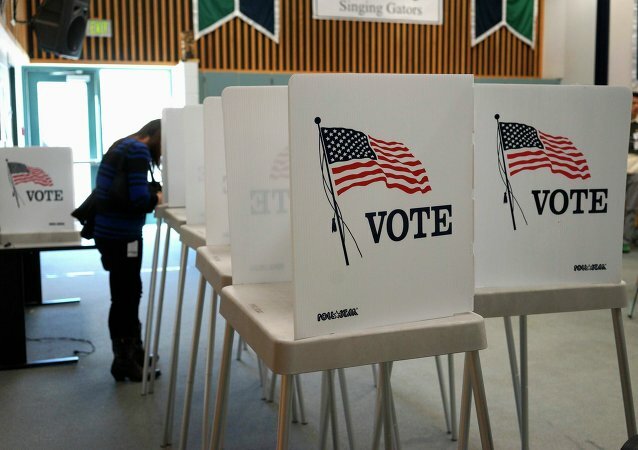 With roughly 20 million registered voters in California, expect there to be a big turnout for Election Day come Tuesday, Danny Max, a morning news anchor for local Cali news stations KCOY and KEYT, told Sputnik Monday. A new Axios/Survey Monkey poll released on Monday indicates that 51 percent of Americans surveyed have faith in US democracy, suggesting that some citizens have lost confidence in their system of government in the political turbulence that followed the 2016 presidential election.